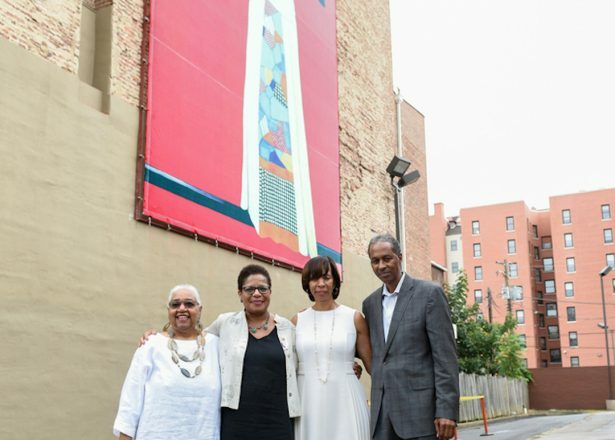 Mayor of Baltimore, Catherine E. Pugh was thrilled to see celebrated artist Amy Sherald's mural, "Equilibrium," receive the Transformative Art Prize sponsored by the Baltimore Office of Promotion and the Arts. The mural is located in the Station North Arts District, in the vicinity of the Maryland Institute College of Art (MICA), which has become a hub for local artists. Amy Sherald is a prolific artist who has become even more well-known since the unveiling of her portrait of Michelle Obama. We are fortunate to have so many artists living in our city. Projects like this highlight the importance of our cultural community to the vitality of our City and they serve to make Baltimore an even more desirable destination to live, learn, work and visit.